Exuberance is an asset, a fountain of internal inspiration that often becomes infectious when nurtured, spreading to others nearby, to the work at hand, and ultimately informing the finished product of the pursuit it is applied to. As Rowland+Broughton celebrates 15 years of architectural success and firm growth, exuberance and passion remain high. Opened in Aspen in June 2003, Rowland+Broughton began life as a husband-and-wife team composed of John Rowland and Sarah Broughton, two accomplished architects ready to leave design careers at established New York City firms to pursue their own creative path. Starting a design practice in Colorado has afforded the firm a sense of balance between purpose and place. Efficiently embracing the unique design opportunities available to architects working in the custom home market meant siting the firm in a premium-luxury, destination-living location. In that regard, it would be hard to improve upon Aspen, a lush mountain lifestyle that has long been an iconic name in wealth and prestige. The first light-filled homes Rowland+Broughton produced in their early years earned the firm renown for mixing modern architecture with curated, natural building materials. The results, an organic layering of details – old and new, found and fabricated – seemingly as one, a new harmonious whole. Their commercial portfolio bloomed immediately as well, picking up a commission to design Crave a restaurant in Basalt. In the 15 years since, Rowland+Broughton has carved a crisp niche in high-end hospitality and inspired dining. Within a year of starting the Aspen studio, the duo was ready for growth and took ownership of a second address in downtown Denver to ensure their budding design practice could contend for some of the city’s exciting commercial opportunities. 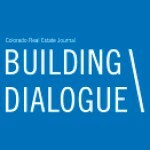 Peer recognition wasn’t far behind and Rowland+Broughton began securing awards from ASID Colorado and AIA Colorado on commissions completed in their first few years of practice. 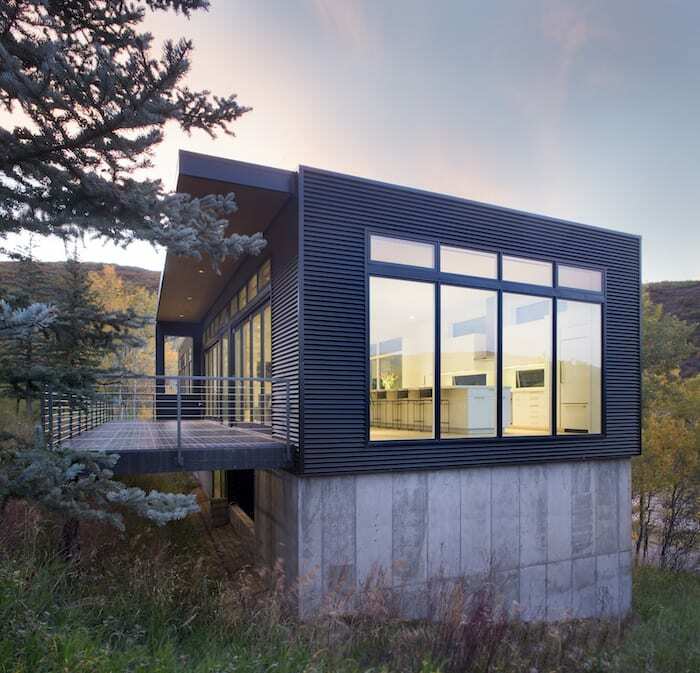 The accolades mounted, and Colorado’s design industry formally took notice when the firm was named AIA Colorado’s Young Firm of the Year in 2009, an honor based on outstanding achievement in design and sensitivity to the community and environment. Finding the right balance between dreams, drive, determination, and plain old fun matters to both Rowland and Broughton. 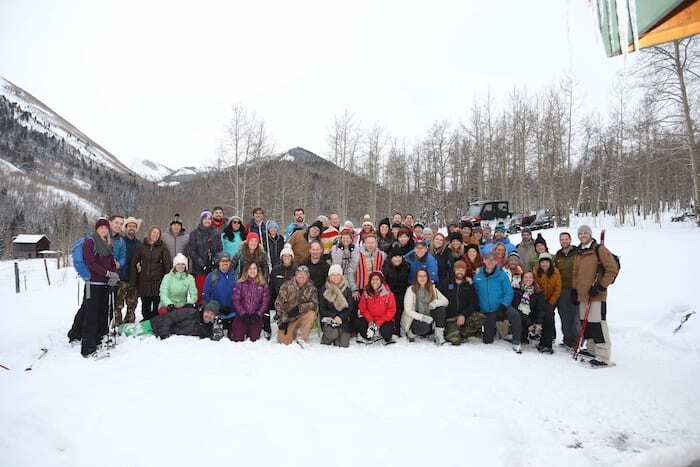 Teams working in the Aspen and Denver offices are continually mingled on projects and powder-day priorities remain pertinent. If the spark is ignited in the field, it’s primed in the office and both Rowland and Broughton are quick to give credit to their staff for their success when asked what the mile markers along the road have been. The word “charrette” is French for cart and recalls 19th-century French architectural students working in teams to make models by hand in the famed Ecole des Beaux-Arts in Paris. Teams collaborated to put the finishing touches on their designs and documents right up until the second they were wheeled away in a cart (en charrette) for the final presentation. Things aren’t quite so last second at Rowland+Broughton, though Broughton does reveal that a fundamental byproduct of the charrette process is teaching young architects to design quickly and present their ideas with confidence. Occasionally, clients even participate in charrettes, experiencing first-hand the energy and passion being applied to their project by an entire 40-person firm in a single session. “We have big personalities, and many of the people who hire us do, too,” Broughton shares when asked about the commonalities in their clients. While Type A personalities, super-charged people used to getting things done may describe the participants and process, the finished product is something different altogether. Modern mountain cool might be mentioned to start the conversation on the Rowland+Broughton design-vibe. The work blends texture-rich materials with clean, semi-minimalist sensibilities planned around views and a lifestyle of leisure. “People don’t come to us to regurgitate something that’s already out there. We want clients who challenge us to break preconceived notions and move beyond what we’ve already done,” says Broughton. Modern mountain cool is celebrated at Aspen W, which blends the talent and imagination of the W-s in-house design team, Rowland+Broughton, New York-based architects nemaworkshop. The current roster of projects in progress includes the Aspen W, a new 124,378-square-foot luxury hotel being erected at the base of Aspen Mountain. The design puts a modern twist on alpine architecture, using sharp lines rendered in wood and metal above rough-hewn masonry block to frame the building’s many patios, terraces, and balconies. A decadent rooftop patio lounge wrapped around a pool, hot tub, fire pits, cabanas and a dance floor basking in views of Aspen Mountain will make Aspen W the apres-ski spot in town when the hotel opens in early 2019. 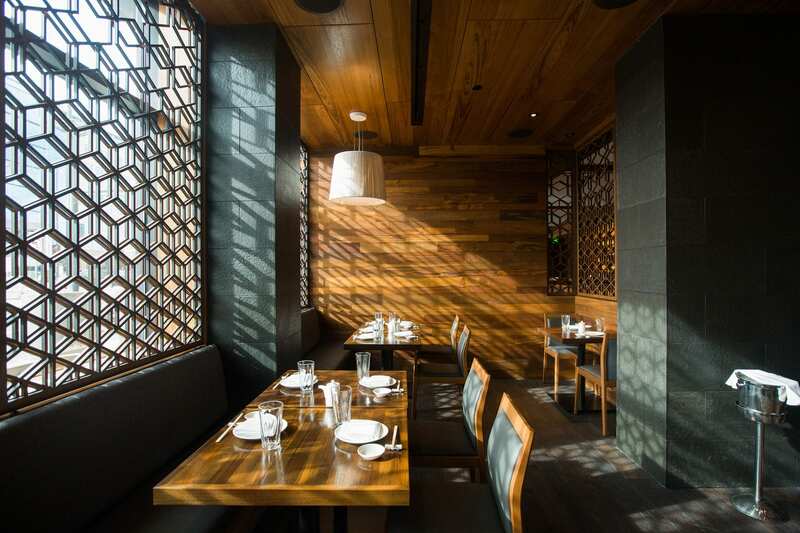 In Denver, Rowland+Broughton collaborated with Japanese celebrity-chef and restaurateur Nobu Matsuhisa on the design of Matsuhisa Denver, a 7,800-sf Cherry Creek North sushi restaurant. With a muted palette of refined raw materials layered with visual texture evoking thoughtful, humble elegance in Zen the design aspires to elevate the dining experience. Balance is essential in design and Rowland+Broughton sees the same necessity in the workplace, cultivating an office ambiance they term “mountain professional.” It’s a not-quite-quantifiable attitude that places a premium on midweek power mornings and dress-up when needed attire over a strict schedule and solely shiny shoes walking around the office.